AWW stands for "Antwerpse Water Werken". It is an organization fully owned by local authorities that is responsible for supplying drinking water for a big part of the province of Antwerpen, one of the 9 Belgian provinces. Recently it has been renamed to "Waterlink". 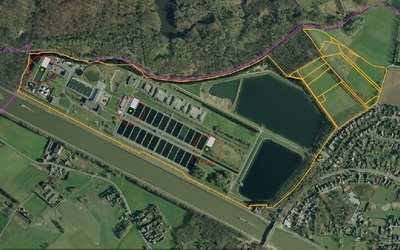 The production of the drinking water by AWW takes place on 2 different sites in the province of Antwerp, one site is located in the municipality of Rumst, the other in the municipality of Ranst. As result of a public tender procedure AWW awarded to Ecopower the right to develop, build and operate wind turbines on both sites. Being a public organization awarding the project to the well-established energy coop Ecopower, Waterlink recognized the importance of mobilizing citizens to invest in the future wind turbines on their sites. Production of drinking water is electricity intensive. Thousands of citizens member of Ecopower have AWW as their supplier of drinking water. Through their energy coop these people can now invest in green electricity production on site, making the production of their drinking water less costly and less dependent of fossil fuels. At the same time, citizens involved can be expected to be more open to do efforts for reducing their consumption, both in drinking water and energy. In addition, all these elements can contribute considerably to the acceptance of citizens and municipalities in the neighborhood of the project. The main goal of an organization as Waterlink is to ensure citizens the supply of high quality drinking water. Only since recent years drinking water suppliers have started in making citizens aware of the importance of water as a precious, limited resource, providing tips and hints for actions to reduce water consumption. Dissemination of information and actions with regard to energy are no at all tasks related to their main goal. In its offer to Waterlink Ecopower has taken not only the commitment to accompany Waterlink in all its efforts towards reducing energy consumption at the drinking water production sites. In addition Ecopower will offer to all citizens supplied with drinking water by Waterlink, guidance in making their houses energy efficient. This will be realized by inviting them to participate in the “Ecotraject-tool”, developed as part of the MECISE project. With this long term engagement Ecopower as citizens energy co-operative clearly differentiates from the “business as usual” approach for a wind development. Reducing energy and water consumption, becoming less dependent of fossil fuels and increasing renewable energy production are common challenges of actual society all over Europe. This project demonstrates how citizens and municipalities can be mobilized to work together and invest in profitable solutions. The replication potential is obvious as drinking water production generally is an activity in hands of public entities. Local energy coops can be key actors to realize this potential in the short term in many European Member States. By winning the public tender Ecopower was entitled to obtain the rights to build and operate wind turbines on both Waterlink sites. 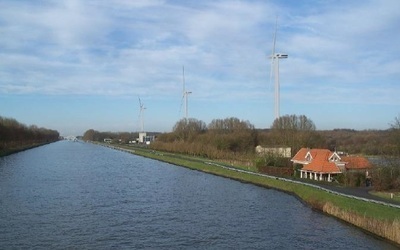 These rights formed the basis for Ecopower to start the process leading to the application of all licenses necessary to build and operate wind turbines in Flanders. The licensing process implies a series of studies such as spatial planning, grid connection, environmental impact, noise and flickering, etc. These studies are de facto site specific resulting in a different space of progress for each site. By the autumn 2017, all licenses were obtained for the site in Ranst. 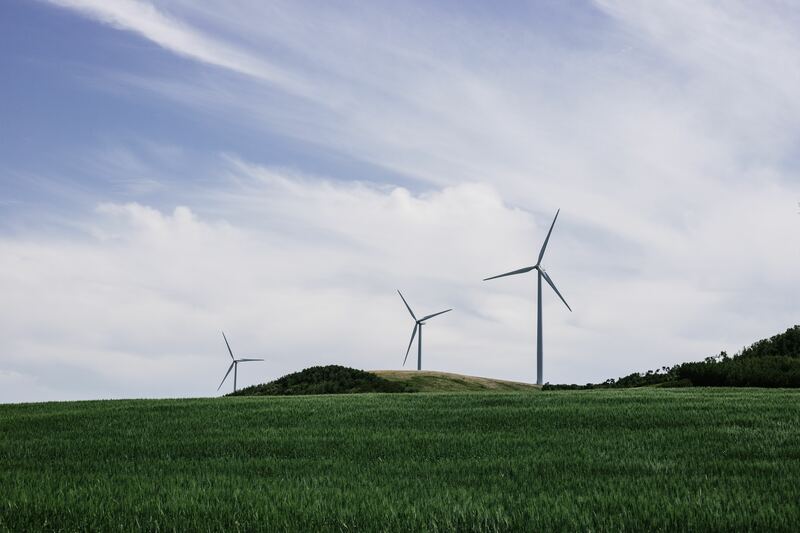 As pending appeals were considered not critical, Ecopower decided to order the grid connection and start the tender for the selection of the wind turbine supplier. The time line foresees the start of the construction of the wind turbines at the earliest in June 2018. For the site in Rumst however, the licensing process was halted completely year due to a negative opinion of the Belgian aviation authority Belgocontrol. After a lengthy study period, in which both national as regional authorities were involved during more than a year, Ecopower obtained eventually in summer 2017 a positive opinion from Belgocontrol, allowing the licensing process to be continued as from autumn 2017. In an ideal scenario without any strong appeal the irrevocable licenses might be obtained within a year time. Counting 6 months from that time, this means that the construction of the wind turbines in Rumst is not realistic before mid 2019.